Only put up a limited number of bales a year? 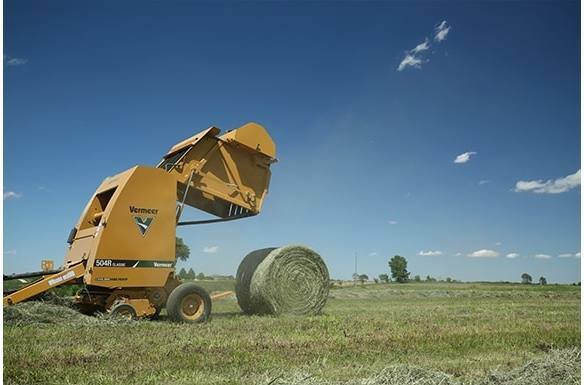 The Vermeer 504R Classic baler is designed for part-time operators who want good value in a dependable baler. 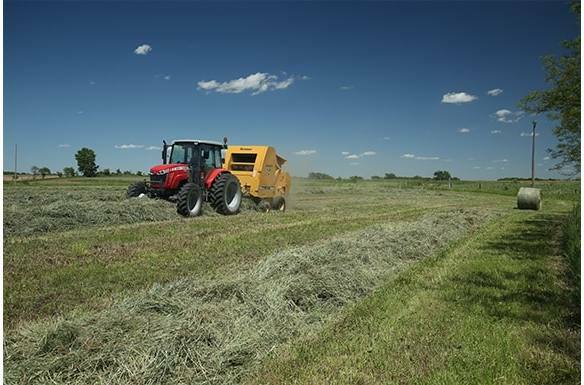 A wide pickup and optional bale shape sensors make baling easier and with minimal setup and adjustments required, you'll feel like you've been baling with it forever. A camless pickup and heavy-duty components maximize durability for prolonged machine life. 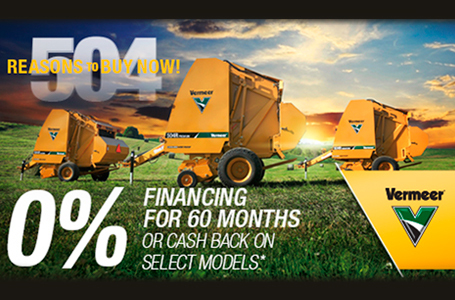 And considering the price and the 3-year pickup warranty, the longer you bale with it, the better deal it can become. 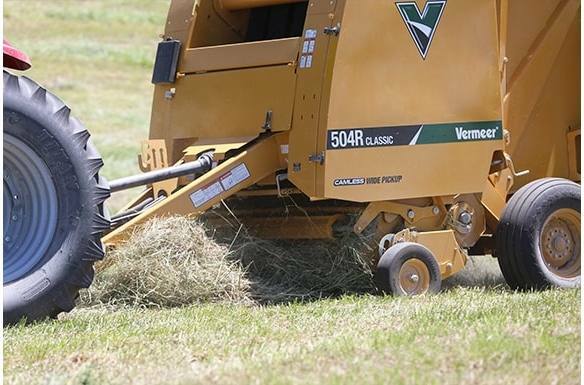 The new, effective Vermeer camless pickup comes standard on the 504R Classic baler. Built with fewer moving parts, this camless pickup allows you to get the job done when you have time to put up hay and minimize parts cost when it is time for routine maintenance. This 60 in (152.4 cm), 4-bar pickup is built to gather the hay, even in less than ideal windrows. 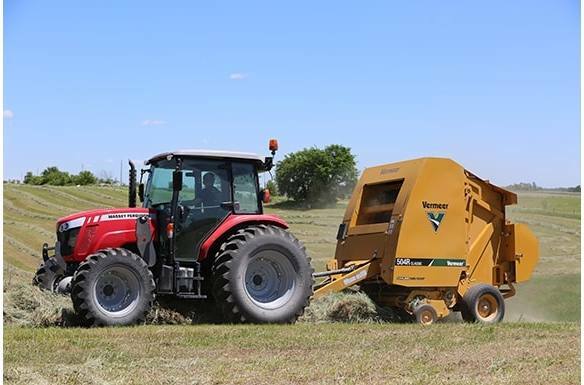 Operators can rest assured with a 3-year pickup warranty covering internal components and parts and labor on the 504R Classic baler. Does not include teeth or hardware for teeth. Tractors just don't run balers. That is why we designed a baler to fit your tractor. With a low recommended PTO horsepower of 50 hp, the 504R Classic will run with most part-time operator's tractors. 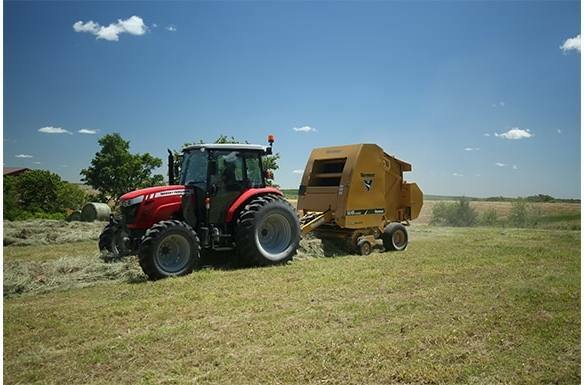 The 504R Classic baler features an optional netwrap system that makes net easier to feed and easy to operate. 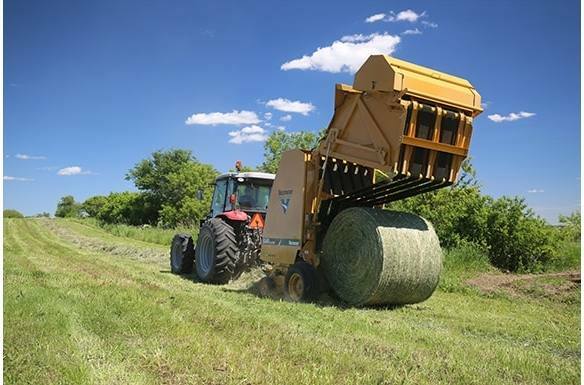 Using netwrap helps to reduce hay loss in storage compared to twine, increase bale wrapping speed and keep the shape and structure of your bales during storage. The Atlas™ Control System delivers robust performance in a simple and intuitive package. 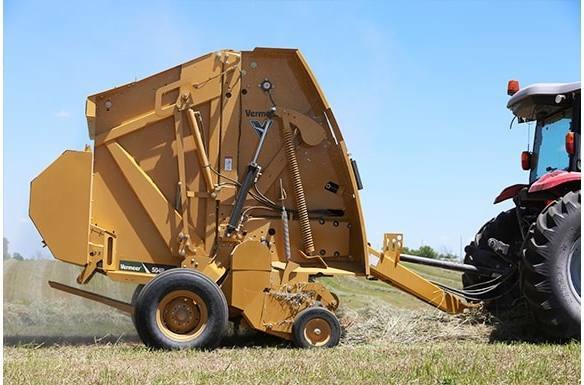 A 4.3" color touchscreen displays everything you need to bale and allows operators to enter field statistics to track bales per hour and average bale size. Optional features include ability to see bale shape on the display as well as real-time moisture readings.